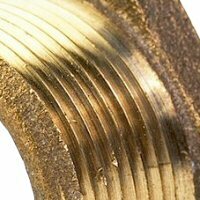 Poly Flow Female Connector Brass Fittings - Maintenance Products Inc.
Poly Flow female connector fittings are made of a brass body and come complete with a brass insert and a plastic sleeve. Not recommended for steel tubing. Advantages: no flaring of tubing required. Easy installation.